For freelance animator Nicole Herr, days are filled with more than dailies, planning and last minute iterations. She kicks the day off at six a.m. when she greets a small group of students on her monitor before diving into the day’s agenda. Herr teaches aspiring animators the intricacies of the craft with Animation Mentor, a premier online animation school. Supportive staff, dedicated students and fellow mentors comprised of some of the industry’s finest (as readers of our Interview Series will recall) put her in good company at the virtual school. Herr leverages sixteen years of experience working for studios like Sony Pictures Imageworks along with her own thirst for knowledge to teach a new crop of artists what it takes to succeed in a highly competitive industry. Friendly and enthusiastic, we enjoyed speaking with her for our latest Q&A in which she talks about how she got her start, being a woman in a male-dominated industry and her favorite animation students. (This phone interview has been edited for length & clarity). ACR: Nicole, thanks for participating in our latest Q&A! Do you remember when you first became interested in animation? NH: I was in high school when The Little Mermaid came out, and from the beginning - that opening sequence where the ships come through the water - the film really fascinated me. That was when I first thought, “Wow, people do this for a living? I have to do that!” So, I wrote to Disney asking for tips about how to become an animator and I got a phone call from one of their animation directors! I spent about an hour on the phone with him, talking about what I should study and do to become an animator. At that point I was hooked and the rest is history. ACR: How did you make your dream of becoming an animator a reality? NH: I got my BFA in Fine Arts from the University of South Florida before studying Character Animation at Ringling College of Art & Design but left there to go to Hollywood. In California, even while I was working I took more classes from traditional animation to acting for animators and all sorts of training… I probably had a total of 8 or 9 years of training and kept learning new things. I am still learning, and I probably always will be. As an animator, I feel like I am a student of life. ACR: Was the transition from school to the in-the-trenches work of the industry a tough one? NH: When I went to college, I was thinking I would become a studio artist. I figured from day one that I was going to be working for studios so when I got my first job at Cinesite Hollywood, there wasn’t a lot of culture shock for me. Growing up, I also got the chance to see how an organization’s hierarchy worked, as my dad was in the military. I understood that there were reasons, even if I didn’t know all the details, for the notes and directions that I was being given by my leads and supervisors. I asked the people around me a lot of questions about how and why certain things would enhance my work, and they saw that I was eager and willing to learn. As a result, they were more than willing to mentor me through the process and help me out when I was struggling. It was great to get the chance to learn firsthand from artists who had been doing this for years; it was an incredibly valuable experience. Those first two years really were the foundation of my career. ACR: Do you have a favorite project or character that you’ve worked on? NH: I’ve had projects that I’ve loved more than others! Some make you want to scream and others you can’t wait to wake up and go to work. For me, three films in particular stand out: Stuart Little 2 (2002) is a favorite because it was my first time working as a character animator, not just an animator. Open Season (2006) because the team was absolutely amazing. Animating the characters in that, especially Boog, was a phenomenally positive experience. I also loved working on Watchmen (2009) because of the level of detail that went into it. I worked on Doctor Manhattan and he was super detailed, so fine tuning him was very interesting. It was the little things like jaw clenches and tendon animations that were so much fun to do, as you don’t get into those fine details with every character. I’ve done many different kinds of animation… it takes a little to reset your mind between styles but it keeps you on your toes and makes life interesting. 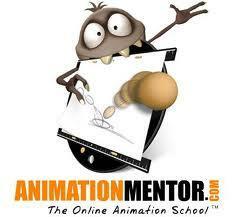 ACR: Amidst all of your work, what made you decide to teach at Animation Mentor? NH: I always knew that later in my career I would probably teach. I figured it would be when I was old and grey, but one of my really good friends taught at Animation Mentor and highly recommended it. I started teaching my first class nearly five years ago and have taught every level since. ACR: You must have a packed work load! NH: That’s the cool thing with Animation Mentor. I asked them if I could teach my class at 6am because that was the time that worked for me and they let me. My dog wakes me up at 5:30, I teach at 6 and then I head off to work. It’s a great community at Animation Mentor and I can’t imagine not being a part of it. ACR: Is there a common element that students seem to struggle with? NH: Some of my students get caught up in trying to finish their shots too completely, as though they are planning to put every animation they do on a reel. This is easy to do – it seems like they are exceeding expectations, going the extra mile. But really, they are short-changing themselves. The point of each exercise is for them to learn a basic concept, and they only have a limited amount of time to work with. I would rather see them keep their work simple and spend that time perfecting their ball bounce or getting their follow through just right than fussing with things that aren’t part of the assignment. In the end, it’s not important that all the details are ironed out, only that the students have put everything they can into the exercise so that we can give them the feedback they need to understand the concepts and build a solid foundation to grow on. ACR: Animation Mentor attracts international students from various backgrounds. What is it like teaching to such a diverse group of students? NH: I enjoy teaching people with life experiences already and many of my students have that, though some are right out of high school or others come from more traditional schools. Some are older than I am and have families and even kids in college. They’ve always wanted to be an animator and now have the opportunity to enroll. They are actually a lot of fun because they come in with world experiences. And many of them are from places like Europe and Australia which adds to the diversity and is great. Ultimately, I want all of my students to animate something they know whether it’s an emotion, an experience or something else they have been affected by. It’s always best to draw from something you really know. 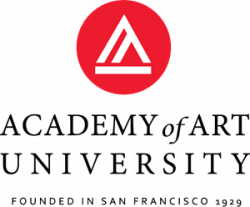 ACR: Do you offer them career advice? NH: The very last class of each semester I let the students ask me any questions they want. I answer them and give them feedback from my own experiences. They often ask about studio politics or what to expect in dailies. I always advise them to sit back and watch. See how the studio runs their dailies, because they are all run differently. Find out who you are supposed to go to with any questions about your shots. And most importantly, stay out of the studio politics. Especially for the first month or so, stay under the radar and just absorb everything. ACR: Are there things young animators can do to create a long career for themselves in this very competitive industry? NH: When I first came in, I worked for a studio called Cinesite in Hollywood. I worked through everything doing animation, composting and all areas of artistic production. It gave me a solid foundation which is crucial. I then went to Sony Pictures Imageworks for a total of ten years and it was very comfortable. But a couple of years ago, they needed to lay off artists and I’ve been freelancing ever since. Freelancing is very common in the industry today and the thing to understand about it is that you have to stay on top of your game. If a new software package came out tomorrow that would overtake Maya, I would be downloading the demo copy and learning it right away. You have to stay on the cutting edge to stay in this industry. ACR: As a woman, you are a bit on the cutting edge to begin with! What is it like being a female in a male-dominated industry? NH: I love working on teams with lots of women, but it doesn’t happen often. Where I’m working right now, I’m the only female animator on the team. One thing about being a female animator is that you need to learn how to play with the boys and leave the female at the door. I love it when I see young women come into my classes. One of my best students was a woman. I gave her notes and she hit them every time and went beyond. When I taught her, she was in the portfolio class. While most students were working on finishing up existing animations, hers were already done. So instead, she created three new ones for her demo reel. She was really a great student and it was a pleasure teaching her. ACR: Any last words of wisdom before I let you go? NH: At the end every e-critique, I tell my students to always keep going. Shots aren’t final until they’re taken away from you, so don’t stop making adjustments until you have to! Never stop learning, never stop trying to get better. ACR: Awesome Nicole. Thanks so much for sharing your insight with us today! Check out Nicole’s work on her website. For more info on Animation Mentor’s highly innovative online programs including an 18-month Character Animation program and a 6-month Animals & Creatures course, take their virtual tour!